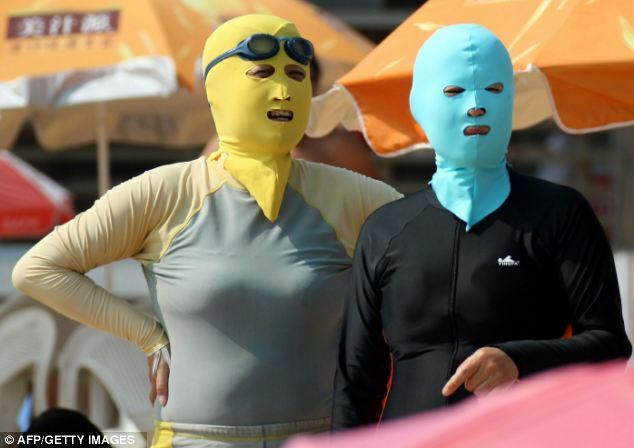 This is the latest trendy protective head mask to protect your face from getting sun burned or sun tanned at the beach in China. 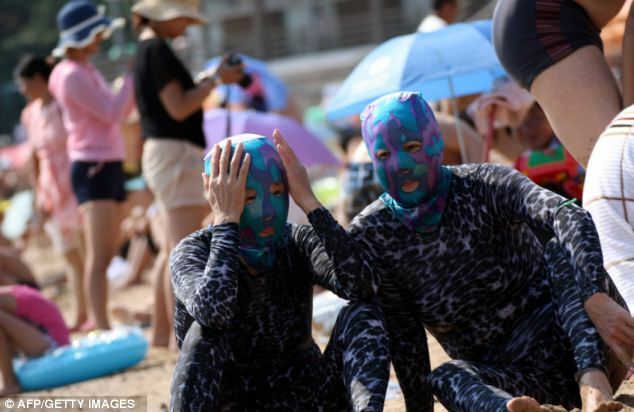 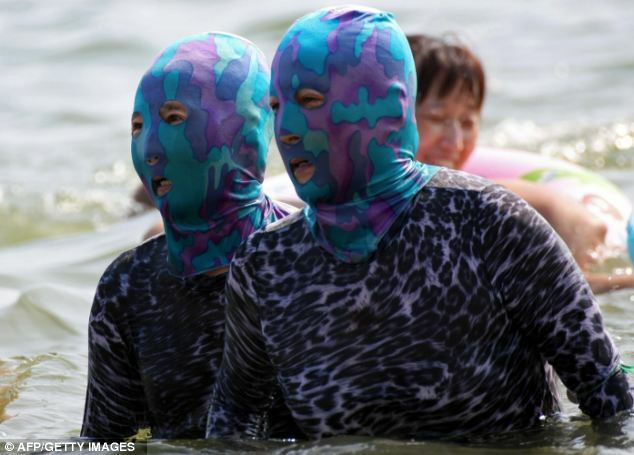 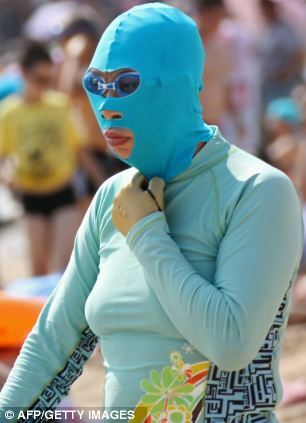 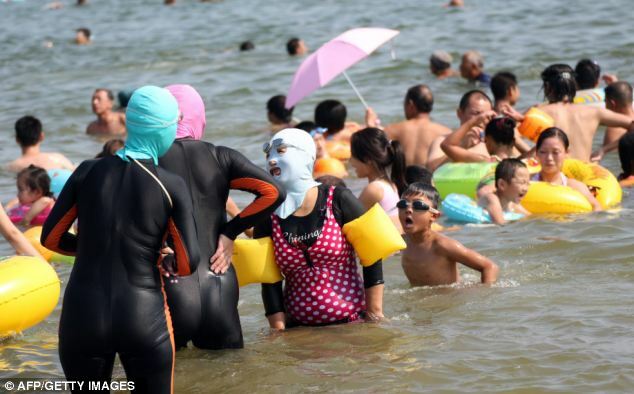 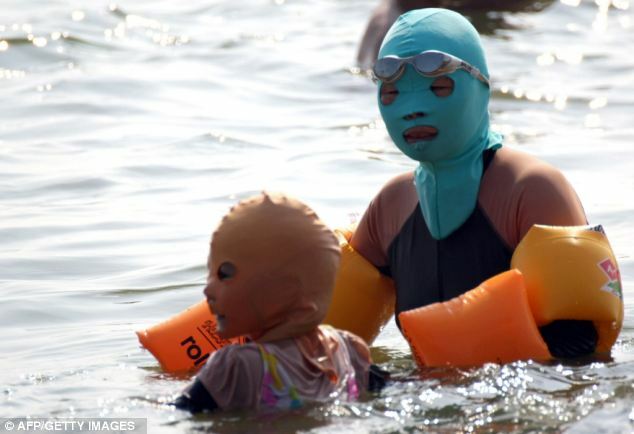 If you’re in China, however, there is a third option - a 'Face-Kini' complete with a body suit. 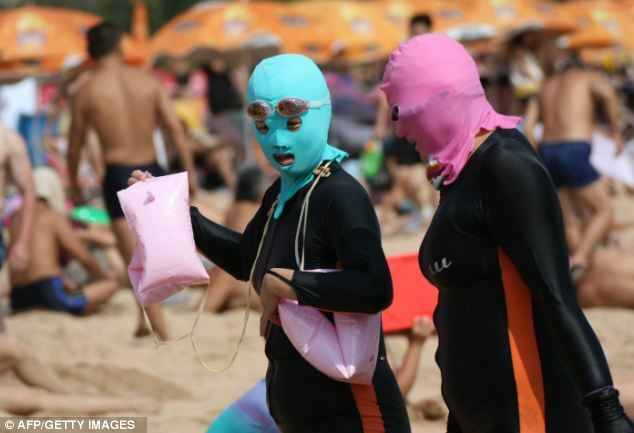 The name describes a protective head mask that is being used in Shandong province's East China Sea coast by beach-goers who want to protect their skin from the sun. 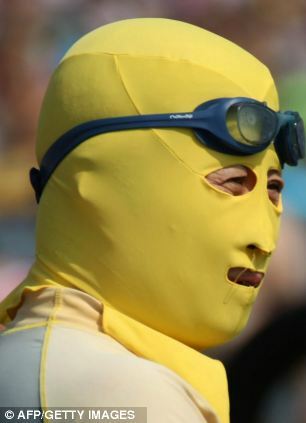 They are selling factory-made Face-Kinis for 15 to 25 yuan (£1 to to £2.50) or (US$2.40 to US$4) each.